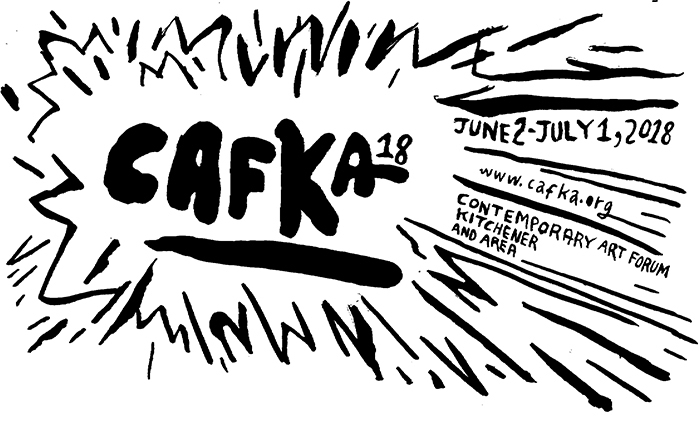 Robert Dayton is an interdisciplinary artist and writer whose branding artwork and hand-lettered text illustrate the CAFKA.18 exhibition guide, CAFKA advertising and signboards. Robert Dayton’s writings and drawings (along with other art) have appeared in numerous publications, books, exhibits, etc. His current book The Empty Bed is a pen-and-ink humour book about heartbreak. Robert Dayton is a graduate of the University of Waterloo MFA program.